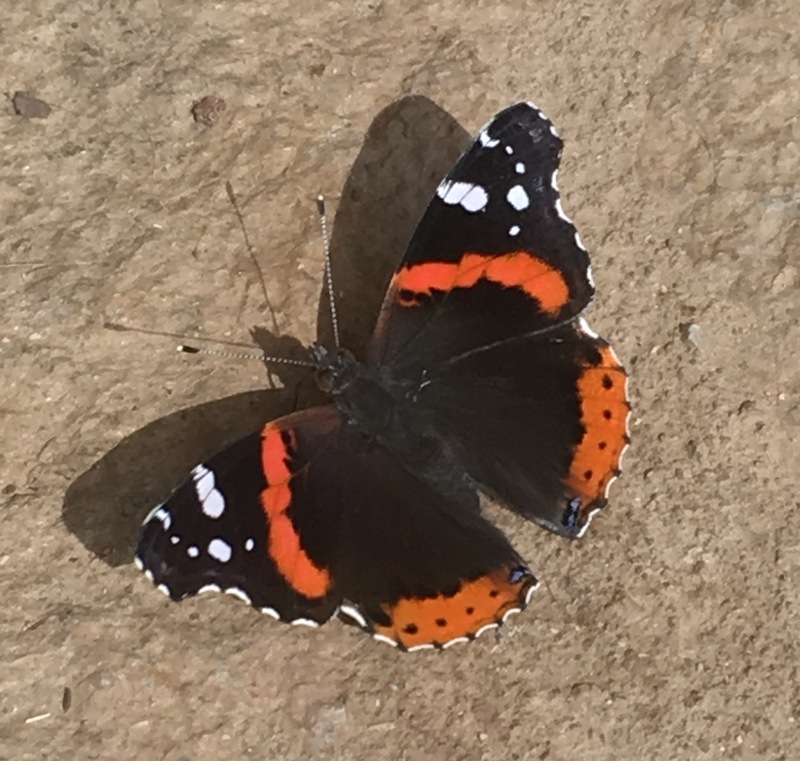 Wild Wednesday … Mystery Butterfly! I’ve been sitting in the middle of I5 for nearly 3 hours. They’re clearing an overturned big rig with a load of steel I-beams. I’m trying to think of something soothing. How about a butterfly. This one showed up on the porch this morning. Good thing the kitten wasn’t around. Does anyone know it’s name? Normally, I’d have my sketch pad, but not today. I have a project to finish too. Instead I’ll have to settle for a butterfly.